"Long out-of-print cassette originally released on Sloow Tapes (Belgium) in an edition of 70 with hand colored inserts. Cassette sold out within a week and has become quite collectible. 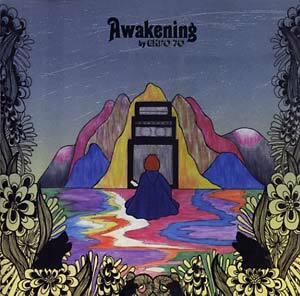 Recorded after Expo '70 played France in 2008, just weeks after the IAO festival where the label owner and musician met. Upon returning to the states, the experience spawned the 2 day recording session materializing these 2 improvised tracks with no overdubs. Both tracks begin with rhythmic beats and slowly morph into sprawling ambient pieces, shifting and shifting moods gradually into floating space." Limited to 500 copies on 180 gram vinyl with locked grooves on both sides, full color artwork.